Something new and different here on Scootersales. 3 real world riders, 3 differing opinions. SR MAX gets the big thumbs up. 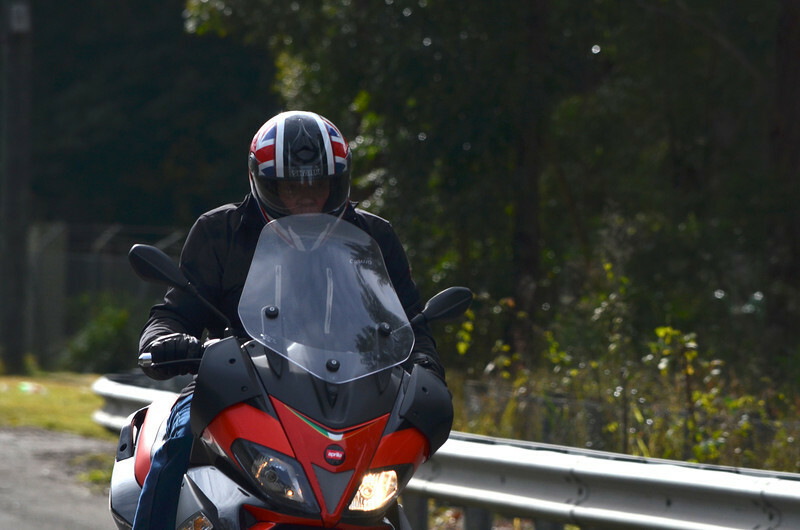 There is a new Italian addition to the two-wheeled fleet on Aussie roads. The new Aprilia SR MAX 300. Aprilia have brought to market a revised version of the Gilera Nexus. Now this is not your normal scooter, no it’s big enough to qualify as a true Maxi. Aprilia certainly know how to make their machines look sporty. Take those red trim flashes on the seat for instance. Combined great style with practicality of good under seat storage and spirited performance make up one surprising package. Why surprising you ask? Well at 278cc the engine came in for plenty of comment on the Scooter Community forum, most were saying Aprilia should have fitted the 330cc engine as fitted to the Piaggio Beverly available in Europe. But the comments were found false, impressed was I pulling away onto the road for the first time. The smooth engine has plenty of torque and the beautifully smooth clutch meant forward progress was both fuss-free and fairly rapid. In a weird way the lack of engine noise and any rumble or shake had me traveling well over the suburban speed limit – sorry Officer… Only the wind tumbling around the screen told my senses to back off. Later on open roads, again I was amazed by the SR. It is a truly a capable machine, the little engine moves the machine along very smartly and the SR handles well on all but the lumpiest of corners. Here the front suspension is a little soft and will bump steer, while the rear shocks can get a little harsh over speed bumps or the like. But otherwise the chassis remains on line, the frame is stiff with no apparent flex and the medium sized wheels ensure good tracking over rough surfaces. The excellent Michelin City Grip tyres also offer excellent grip in all conditions. The package results in a machine that can easily exceed any highway speed limit. The spirited performance would ensure riders of 250cc motorcycles to question what is that machine. Of course the SR is not perfect but does come close. For me the brakes are a letdown. The levers need a really big squeeze to bring the SR to a halt. Interestingly the front wheel and right hand fork leg have provision to fit a second disc and calliper. The other issue that would be of concern to some riders will be the screen. The standard screen caused plenty of noise and some buffeting at speed. But as it is, would offer good wet weather protection. The SR has a big fuel capacity of 15.5 litres, thus ensuring excellent range. So what Aprilia offers is a sporty all-rounder with genuine touring credentials. I’m sure the SR looks are a love it or hate it thing with viewers. To me it looks great with typical Italian design flair and use of bold colours and graphics – job well done. However on the test SR I did notice a few quality issues. The red colour flashes on the front bodywork are in fact self adhesive patches (except for the painted V-shaped centre piece). These patches have been poorly fitted and are slightly too big and as a result some of the edges are lifting. Also lifting was the Aprilia logo on the lower sides. But otherwise the paint and plastic panels finish and fit were first class. Ergonomically the SR was comfortable to ride and had plenty of legroom and good handlebar position too. At 190cm tall many scoots are simply too small for accommodate my frame. Only on speed bumps taken with enthusiasm did the rear shocks become harsh and literally kick me for going too fast. From an engineering point the SR is standard Piaggio kit. The package does the job very well coming from a company who knows a thing or two about scooters. 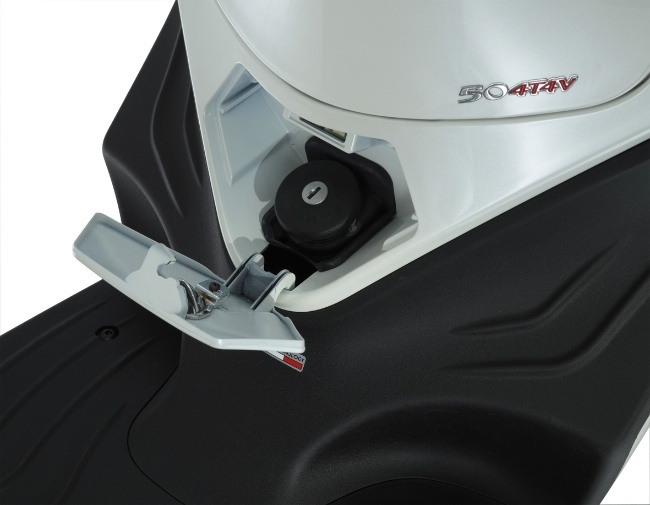 Thus servicing will be straight forward and any technician used to working on modern Vespa’s will not have any trouble with the SR. Also the SR offers much better access to the mechanicals than most, should lower service costs without time wasted removing the tupperware. Unfortunately the SR is priced in a difficult section of the market. At around $7K plus on-roads there is plenty of competition in the market place. 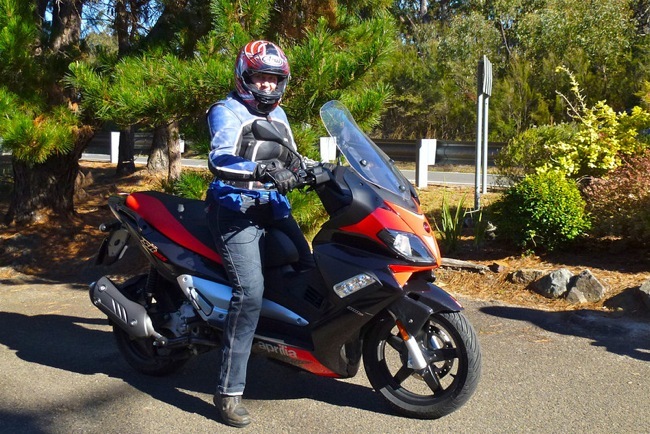 There are some very good motorcycles and scooters that can be had for under $10K and that’s just the new ones… However for a light Maxi it is a terrific all-rounder, much better than I was expecting. Anyone looking for a lightweight Maxi must include the SR on their shopping list. The newly released sports maxi from Aprilia, the SR MAX 300, is basically a 300 Quasar dressed up in a Nexus frame. I've just got back after taking it out to Windsor, up the Putty Rd to the Hunter Valley and back into town via Wollombi, Gosford and the Old Pacific Hwy. The ride covered the entire range of roads, suburban arterial, tight twisties, fast sweeping full twisted throttle runs with varying surfaces ranging from race track to goat track, ridges and valleys, climbs and descents, byways and freeways and peak hour at dusk. 400ks in one lush lovely ride. So how did the Aprilia SR go? Let me put it like this. In Scooterland you have to kiss a lot of toads to find a princess and today I rode a real princess. First off I really like how the SR looks. To my eye its flash, sporty, the best modern styled scooter that I can remember, in fact its very much like a small sports bike, except perhaps for the 14" back wheel which does look a bit weird. Good storage under the seat because of that small rear wheel. The front 15" wheel gives good stability on the road. The seat's quite high and wide but very comfortable, the adjustable windscreen was a bit noisy so I lowered it and although I got more wind at head height it ceased to be turbulent. Suspension was a little hard and the couple of times I hit bumps at high speed the scooter bounced around a bit but overall the SR handled the track really nicely. It loves the tight twisties, is very well balanced and quite composed when ridden quickly. There were several times where I went looking for the power that I have on my 800cc motorcycle. I had to remind myself that this was a 278cc scooter. When riding the SR it's very easy to forget this fact. In my mind I kept on comparing it with a mid sized sports bike, or the TMAX. It doesn't have the explosive acceleration especially over 130k/h that the bikes or the TMAX has, but has only just over 1/2 the capacity of the Yamaha. It wasn't as good as the TMAX in the sharp twisties but it was close. In Australia on the open road the real usable speed band is between 80-130 km/h. Sure it's good to have speed over 130k/h up your sleeve but it starts you costing big fines and demerits and is not really utilised. What the SR MAX has done is to put the 278 cc Quasar's power into the 40-130k/h range really well. It is slightly pedestrian off the lights but sliders would easily remedy that, but over 30k/h the thoroughbred comes out and the SR is out of the gates and away. OK. What I saw today. I got the top speed up to an indicated 149 km/h down a long hill. On the flat top speed around 130k/h. While I get these speeds on the Vespa GTS 250, on the SR it felt much faster. I suspect that the speedo accuracy is much better than 10% out. On the 110 km/h freeway I was in the fast lane sitting on 120 km/h indicated and I was overtaking car after car. I was definitely going faster than 110. Only twice today was the SR challenged by hills and that was because I lost momentum through some tight corners. When riding a Quasar fast, keeping momentum is critical. Most of the time the SR was able to accelerate up the hills, like the old road up from Hawkesbury Bridge to Cowan, I was on 100 km/h up there and accelerated over the top at 110+. I think that Aprilia have configured the SR MAX better for the open road than any of the other Quasar "300" scooters. You might be guessing that I was impressed by the SR. Well you're right. It had the style of a sports bike, good acceleration and excellent handling, low centre of gravity and real fun to ride. Some people are arguing that it’s not that serious, being a 278cc in a Nexus 500 frame, but I think it was a stroke of genius to put the two together. The SR has the benefit of being a little bit heavier than the other 300's which means it sticks to the road better. It’s also got a 15.5 litre tank which gives it a range of about 450 k's. I reckon the SR would be a great touring scoot with good weather protection and the ability to cruise at 130 if needed. The only downside were the brakes, I had to brake hard at one stage when a car stopped in front of me while I was gunning it off the lights and for a moment I thought the SR wasn’t going to stop. You really have to grab the levers hard. Besides that, the SR was bloody brilliant, the best scooter I’ve ridden this year by far. I would have no hesitation about taking it interstate, It looks flash and sporty, and it rides sporty. When I got home I googled its price and nearly fell off my chair when I saw $7000 retail (+on roads). That makes it unbelievable bang for buck! Don’t write this scooter off! It’s an absolute ripper! On the way home I was trying to figure out how I could steal it. I could really live with this scooter. In fact I think I’ve found my mount for next years Tour de France. If I was in the market for a 300 the SR would definitely be way up there on the list. My first impressions when I first saw this scooter were “Not another Maxi. It can’t be any good”. However after close inspection a few things stood out. Typical Aprilia build quality and looks which includes first class Michelin tyres, a great looking seat, excellent finish and paint work and nice looking dashboard with the inclusion of a tacho which is a nice feature although overkill on an automatic. The large screen however ruins the appeal for me and also as proven later while riding also affects the performance slightly with I tiny bit of buffeting at higher speeds. I would prefer a much lower screen. My first ride was around town which proved to be very interesting. I was expecting the handling to be typically unresponsive and unimpressive but instead felt quite at home on this bike from the very first minute I took to the road. I found the bike pointed true, cornered well and balance was incredibly good. I ride a Honda SH300 scooter and an Aprilia Mana and enjoy a sportier feel and this scooter fulfilled that need. The seat is comfortable and would ensure touring remained pleasurable after many hours in the saddle. This scooter has adequate power and although not as quick off the mark as my SH300 the variable gearing is as smooth as silk with no discernible rough spots or vibrations. What does let this bike down however is the braking as there is only a single disc on the front which is obviously inadequate when you need to brake quickly in traffic and the front brake leaver needs to be squeezed hard before you get any response. Also I found the clock display a little too small for my liking. I later rode the bike on the open road where I got a chance to push it harder into corners and found it to be equal to the task and very pleasurable to ride with front and rear suspension handling all but the tightest corners with ease. The suspension is also fine on reasonably rough surfaces but very rough roads caused slight problems with the bike bouncing off its usual true line. Overall I was very impressed with this bike (for a scooter) and though it performed equally well as a commuter and a tourer. The score for me would be 8 out of 10 and definitely worth a look. I came up through the ranks of scooters after riding pushbikes in Sydney’s traffic for many years. I started out with a brilliant Korean 125 called the Daelim NS, within 6 months I was wringing its neck every ride so I bought a modern classic forever reliable Vespa GTS250, which I rode all over the state. Then there was the brilliant Yamaha TMAX 500, a Suzuki 650 single chook chaser, then the bike of my adolescent dreams a black 04 Triumph Bonneville, another scooter, the ballistic Gilera Runner FXR 180 2 stroke, and also the very classy BMW f800r a naked street fighter, I’ve still got the Gilera, the Vespa, the Bonnie, and the f800r. I'm a two wheeled tragic, I sold the Ute and now ride 24/7 including a 50k daily commute, a 3/400k run most Sundays plus a couple of long tours each year. I’d be riding 30,000ks/year and since working as a photographer with scootersales I’ve tested nearly every scooter out there on the road. About 8 years ago my office moved from Pyrmont to North Ryde and we were all told that we could park on site if we were on 2 wheels. I thought to myself “Hey I can do that!” and off I went and bought my first scooter, a Bug Espresso 150. It was a cute little scooter and a great beginners bike but it wasn’t long (about 3 months) before the gremlins crept in and I wanted something a bit more sophisticated. I went back to the scooter shop and traded the Bug in on an Aprilia Sports City 200. Boy what a scooter and it wasn’t long before I had my dear husband modify it with new exhaust and variator so it was even quicker off the mark. I loved that scooter and upon reflection should have kept it until it died but hey hindsight is a wonderful thing. My current scooter is a Honda SH300 which with a few mods goes very nicely but does not have the appeal of the Sports City. I bought my first bike after I joined a scooter club and discovered the joys of riding on the weekend. The scoot just didn’t do it for me as the limitation of the body and suspension were quite obvious when pushing it through corners under speed. I purchased a Kawasaki ER6f 650 Ninja brand new and then proceeded to learn to ride all over again. After a few year of riding this nice little bike I longed for something a little larger so I could keep up with the big boys on more serious rides so I sold the ER and bought a Honda CBF1000. Wow did this bike go, but I think I went overboard with size as it weighed 250kg and I struggled with this weight at low speeds. I loved this bike on the open road but eventually I had to admit that It was too big and eventually settled on my current bike, the Aprilia Mana 850. I love this bike and although it does not have a manual transmission it is still every bit a motorbike in handling and character. It is also the perfect size for me in terms of power and weight so I feel like I have the perfect bike to suit my character and the perfect scooter to commute to work on. An engineer and a bike enthusiast, Ian has no fear in pulling his machines down and rebuilding them better and faster. He is "Coz We Cans" technical expert and his workshop is where we go to make mods to our machines. Ian has owned a Suzuki Vstrom 650, a Ducati Multistrada 650. He presently rides a Suzuki Burgman 400 and a BMW f800r. He is also rebuilding a 1973 Suzuki GT550 triple two stroke smoker as a project bike. 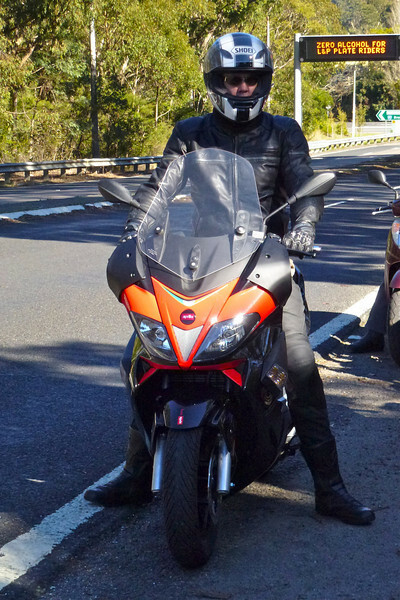 Ian is an experienced group ride leader, knows nearly every road in NSW, and has a GPS imprinted in his DNA. New Piaggio Fly 150 i.e. The new fly will be launched with pricing set at $2990 plus. Piaggio have released pricing on the new injected Fly 150 due "anytime" now. The new Fly 150 will be released with a list price of $2990. If you come across the previous model Fly still in showrooms, $2790 (+ORC) is what you'll pay for the outgoing model. The NEW Fly 150 is just that, all new. Totally revamped and fresh faced. Here we have a summary of the significant changes. We had a small sample at the recent Sydney Scooter Expo. The new Fly 150 feels bigger in every way. More roomy from the riders seat, tons more storage space under the seat. Smoother and more responsive was the general consensus. Filed under: New Piaggio Fly 150 i.e. 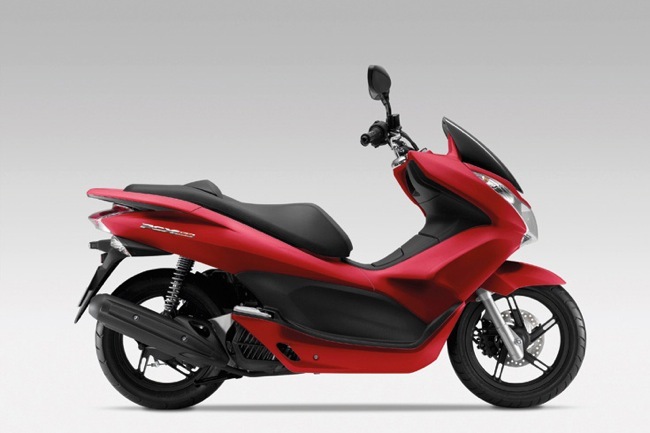 Honda releases the PCX150. Said to offer more practicality and more fun. Price has been set at $4,020 + ORC. Honda is excited to announce the latest scooter arrival, the PCX150, which will be in Honda Dealerships nationally next week. While based on the already popular PCX125, the new PCX150 will offer riders more practicality and more fun. The PCX150 was well received during its debut appearance at the Sydney Scooter Expo at HART St Ives last weekend. While interest was still ripe in the existing PCX125, the lure of more power and the addition of Candy Rosy Red colour had scooter fans talking and cameras flashing. Combining innovative technologies and unrivalled practicality, the PCX150 features a more powerful version of Honda’s eSP (enhanced Smart Power) engine. This lightweight, liquid-cooled engine boasts a Honda PGM-FI fuel injection system which ensures seamless, effortless power delivery via the smooth V-belt transmission, while reducing emissions and fuel consumption. 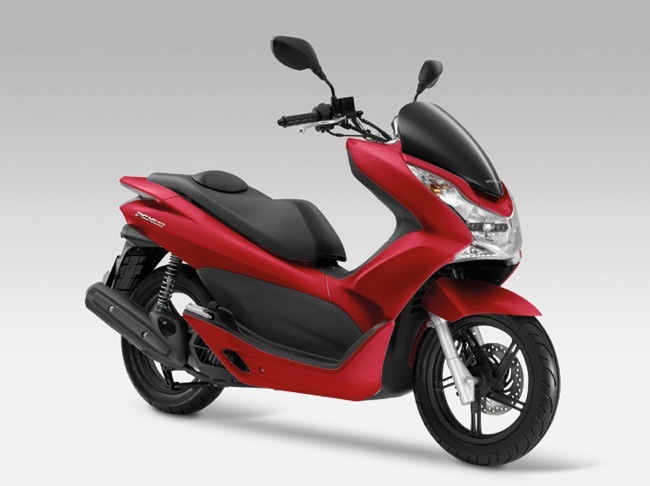 Like the PCX125, the PCX150 features Honda’s unique Idle Stop Switch. When enabled, the engine stops running automatically after three seconds at idle, and re-starts instantly when the throttle grip is twisted, this function assists the PCX150 achieve unrivalled fuel efficiency. 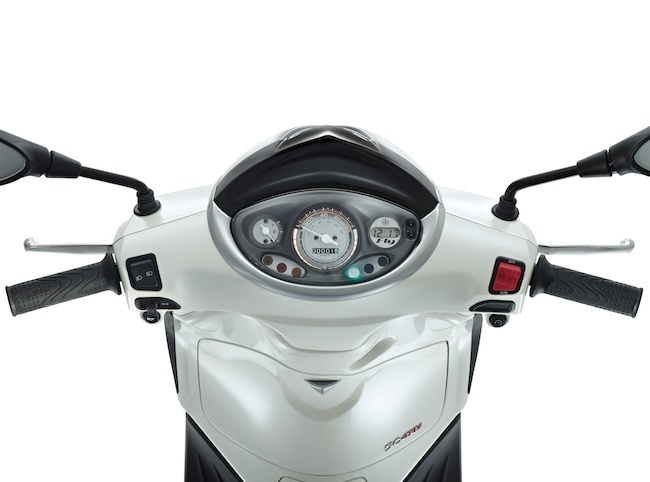 The unique front face and flowing lines of its bodywork give the PCX150 a dynamic and modern presence while the dark-tinted windscreen provides excellent wind protection. A low seat height and generous wheel base combine with a relaxed steering geometry to create a very reassuring and stable ride. 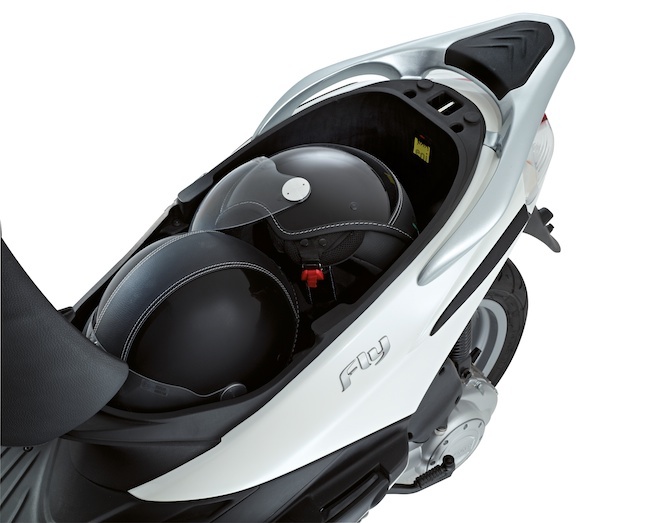 Ideal for daily commutes, the PCX150 boasts a lockable storage compartment under the seat which is large enough for a full-face helmet plus another useful storage space up the front which is perfect for smaller items. Stylish, nimble and incredibly practical, this new scooter will be available in Candy Rosy Red, Asteroid Black Metallic and Pearl Himalaya White colours. 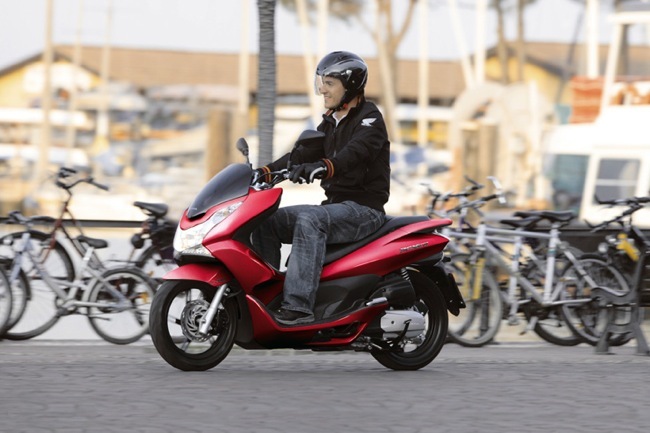 Honda’s new PCX150 has an incredibly competitive MLRP of $4,020 (excludes on road costs). See your Honda Dealer for more information or to order one today.